for your Family, Church, and Personal Life! Click here for information on supporting this ministry. Information about our family Coat of Arms. Better Birth Childbirth Education classes designed and taught by Paula & Nate Wilson - Ever since taking their first Bradley Childbirth class in 1990, Paula and Nate have been interested in learning all they can about childbirth and sharing ways to make birth more comfortable, less expensive, less scary, and more safe. In eight 2-hour classes we help couples get a feel for the normal process of birth, how to cope with the things that are challenging, what health care options are available throughout the process, how to make informed decisions as consumers of health care, and how the husband can be a stragetic partner throughout the process. Contact us for details on the next class offerings! Biblical Daughterhood What does the Bible say about daughters and their unique role in society? Awaken Manhattan Website - See how Christians are addressing the sexual revolution in our town. God's Design for Sexual Relations - One-page chart laying out the path of blessing in marriage alongside the personal and impersonal sexual perversions that are pitfalls at each step, documented throughout with scripture references. Contains mature subject matter, but no explicit graphics. Why I Practice Age-Integrated Worship. What does it mean to be a Man? - A Word Study on Biblical Manhood composed for a son's 13th birthday. What does it mean to be a Man? - II - Scriptural lessons from Ephesians 5 and Isaiah 46 for another son's 13th birthday. Does the Bible Really Recommend Spanking Children? - a Bible study by Nate. God doesn't want to save individuals. He wants to save individuals and their descendents! Family Rules Household rules we teach our kids to observe. VIDEO: MOVIE IDEAS - 15 minutes of our kids brainstorming on creating a new video. Hilarious if you know any of the Wilson kids - funny even if you don't! Beniah Wilson's Senior Music Composition Recital, April 2015, All Faith Chapel, Kansas State University. - Includes peices by the Kansan Celts! Click here to see and hear samples of our children's Speeches, Dramas, Artwork, Music, and Writings! Beni's Junior Composition Recital: Rhapsody for Solo Violin | Fallen Heroes; Wondrous Love | Cantate Domino; Possum Song; Musicians on a Desert Island. NOTE: Contact us if you are interested in sheet music for any of these peices! The Farmer: A Parable about the Lord's Prayer Illustrated storybook for all ages. BENIAH: Mighty Man of God Illustrated Children's book. I'm looking for a choir to record this song for me; can you help? Click here to see sheet music as graphic. SONG OF THE SEASON: The Charge Overture - Our second child Beni composed this overture for a movie script written by our third child (Amos) - and for which our fourth child (Peter) directed a movie trailer a few years ago. Getting married and having children (and not having access to millions of dollars) has put the filming of the feature-length movie on hold, but I just recently re-discovered a video of Beni and some of his friends from the K-State orchestra performing this overture and converted it to audio mp3 for your listening pleasure. CHRISTMAS CAROLS - A SACRED LEGACY A collection of lyrics to over 50 of my favorite public-domain Christmas carols. For The Kids (2000) Preview contents | Order CD. Kansan Celts II (2016) Order CD | View Extended Album Info & lyrics..
Ezekiel - Online version | Order book. Jonah - Online version | Order book. All but I Cor., Acts, and Romans have background instrumental music written by Christian artists. Sound quality has been lowered in the samples below for faster downloading. Gospel-Centered Living 9-part Sermon series on practical outworkings of the Gospel in the Christian's life (Maturity, Justification, Adoption, Law, Repentance, Sanctification, Outreach, Forgiveness, Humility, and Conflict Resolution). Why do different Bibles say different things, and is that a problem? - A brief introduction to New Testament textual criticism and a defense of embracing the variety of Greek editions and English translations available today. The Functions of Deity: You May Be Surprised Who Your God Is! - Nate's book on apologetics! Now available on Kindle - and on Nook! Why do Christians worship on Sunday rather than Saturday? - Relevant Bible verses and an excerpt from Philip Schaff's History of Chrsitianity published in 1910. Comparison of the Westminster Confession of Faith and the London Baptist Confession - The text of the two documents have been merged with their differences highlighted. The Confession of St. Patrick - with Scripture References and a sermon on following the example of Patrick's faith and obedience to Scripture. In Search of the First Thanksgiving - A sermon for the Thanksgiving holidays based on Leviticus 23. What the Bible Says about Hell - All instances of Sheol, Hades, & Gehenna in the Hebrew and Greek texts of the Bible with Strong’s numbers for reference and three centuries of English translations. A Biblical Basis for Formal Church Membership. He Descended into hell - Should we remove it from the Apostle's Creed? Resurrection Bible Study - all NT passages containing references to resurrection or raising the dead, organized topically. Guitars in the Bible - How were stringed instruments used in the Bible? 2 pages of Bible texts. Encounters With Jesus - a brief list of Bible accounts of what people did when they met Jesus; examples to us all! Is it Biblical to Seek Brokenness? - a survey of how the Bible uses this word. The Bible and Baptism What is the Biblical way to administer baptism? Baptism - What, Why, How, and Who: a follow-up on the above paper which presents the data in a more organized and succinct format. The Baptism and Temptation of Christ If Jesus was sinless, why was He baptized? The Essentials of the Kerygma What must we preach? Gentiles and Jesus' Time Survey of the Gospels that shows Jesus' "time" relates to His death and also to His being glorified by Gentiles. Worship under the Old Testament Monarchy - Lessons we can learn from the way they did church in the Old Testament. What does it mean to PREACH? - the context of every occurance of the word "preach" in the Bible. Levitical Sacrifices - a chart simply laying out the system. Biblical Prophecy - What is it and what is it for? 2 Essays on Modern Church History: "Stuart Puritans and the Westminister Confession" and "Revival vs. Revivalism in the Great Awakenings"
Ancient Church History Timeline - outlining events in every year from 100-600 AD. Ecclesiastes 7 - A poetic analysis and sermon. 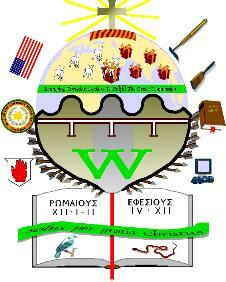 Sangre De Cristo School for Biblical Studies - the best place to learn Greek and Hebrew! New Testament Greek language starter quizzes. Includes two quizzes, one for learning the Greek alphabet and one for learning beginning vocabulary. This is a 258KB zip file that you install in your computer. Instructions are included. Concise Hebrew Vocabulary Learning Kit 2-page chart with quizes based on John Watt's list of Hebrew words used 300 or more times in the Bible. 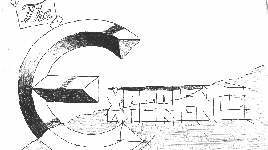 Click here for information about Greek and Hebrew fonts used on this website. Greek language learning exercises from the classic Machen text, New Testament Greek for Beginners - pdf Lessons 4-12 | Lessons 13-22 | Lessons 23-33. Why Must Christians Preach the Gospel? Scriptures outlining the lost state of mankind. Prepared for the Great Commission 5-page sermon showing how Jesus prepared His disciples to preach the Gospel to all the world and how He has likewise prepared us! Finding your place in this world: 4 roles. Avenues of Involvement in Mission (101 ways to participate in world mission) Click Here for PDF version of "Avenues" as a 1-page brochure. How to Get involved in Missions By G.P. Roles in World Mission--where do you fit? Satan's Undoing A 10-minute Skit about about the role of prayer in missions - performed as a one-man drama by Josh Wilson. DATABASE of information for church mission emphasis leaders - an organized collection of resources reviewed in the Mission Mobilizer's E-zine between March 1995 and June 1998. Second Era Expansion of Modern Christianity Pioneers on the growing edges of Christianity from the Mid 1800's to the mid 1900's - 2 pages of lecture notes by Nate. State of the World The Status of World Religions and Christian Missions at the outset of the 21st Century - 1 page. 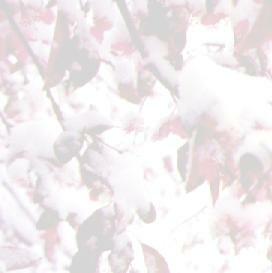 Background image is a photo of spring snow on a budding tree in our yard.